prestigious universities in the United States from a factory in suburban Bangkok. The company was first called Jamcomb after co-founders Jamie Marriott and Scott Whitcomb. at the time, urged them to start making their own jerseys. made. Another Ruamrudee teacher, Dave Cote, joined the team soon afterwards. of the company to JOG (Join Our Game) Sports. had a small sewing team though they continued to outsource the material for their jerseys. their cutting, putting the numbers on (they had about 15 sewers at one time). through torrential downpours to get the shipments out on time. facilities anymore – they had to have their own. 45 minutes outside the city. was already set up, including all the sewing machines. percent growth in production since 2015.
the company to where it is today. It is JOG’s motto to do everything it can to get deliveries to customers on time. Canada Hockey League. Some very big names. their efforts are finally starting to pay off. JOG started as a company run from a home office and classroom in Japan with its staff running around helter- skelter outsourcing to get their jobs done. above and beyond to get its work done. Bangkok to referee the Land of Smiles hockey tournament, held annually in late October. 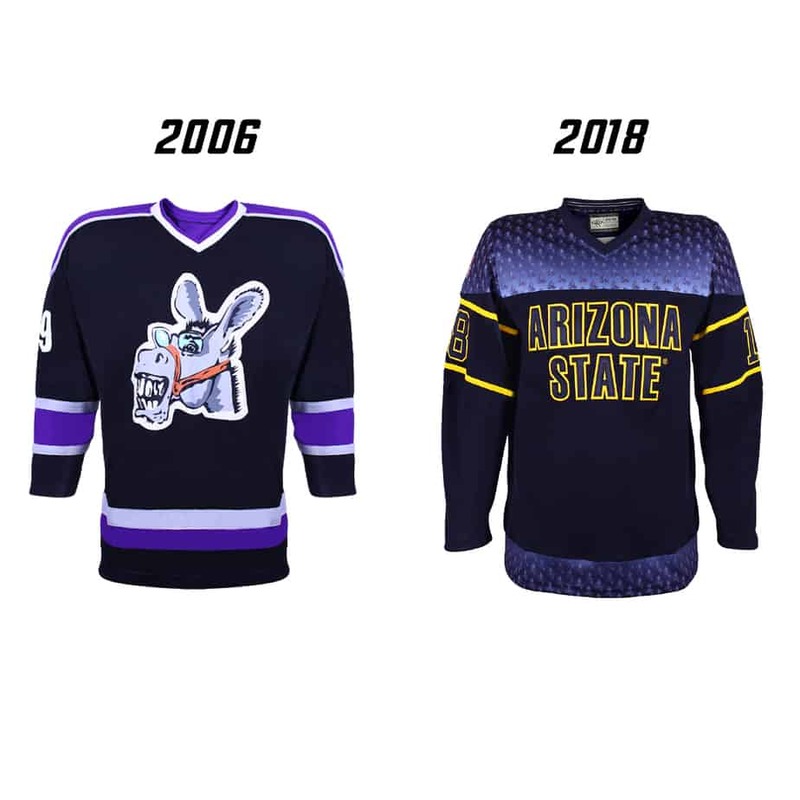 Today JOG makes jerseys for Ivy League schools…quite a progression.